Although I’m trying to keep an open mind about the latest Microsoft(s msft) devices, the company sure is making it difficult. A December firmware update to the Surface Pro 2 has been pulled amid a strange series of events ranging from the company saying everything’s fine, to forum posters reporting unusable devices. For a company that’s actually making great strides this year — and has literally defined the PC industry for the past few decades — it’s a bit of an embarrassment for Microsoft’s flagship device; one where it controls both the hardware and the software. 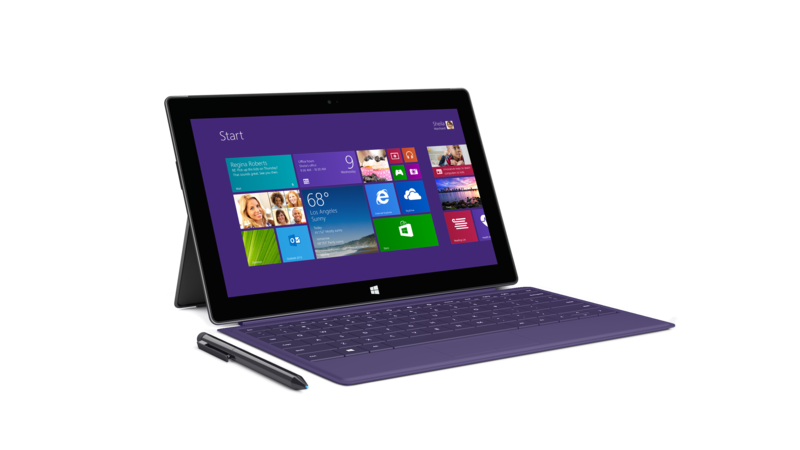 Microsoft released the firmware update on December 10 for all Surface Pro 2 users. I recently bought one of these devices and saw the update arrive — without warning, which is both the Microsoft recommended and express setup option — download and presumably install. The install failed for me, and many others, with a specific error code. Not to worry, said Microsoft. It’s all good, right? Not on my Surface Pro 2 per the Device Manager and, based on this Microsoft forum, not for others as well. But that’s a good thing, according to those who did get the update to install. Several reports in the forums indicate their Surface Pro 2 is actually performing worse with the firmware update, with some showing visual evidence that the device won’t even charge while plugged in. Some are having issues with sleep mode and other power-related functions. One of my peers in the gadget review space, Hector Gomez, is experiencing these issues and is also having problems with the Type Cover after the update. @surface Now my Type Cover track pad doesn't work, have to remove Type Cover and then reattach. This is all happening after Firmware update. At this point, Microsoft has officially pulled the update and said it’s working on the problem. I’m actually able to work on my Surface Pro 2 because the update failed. For those that successfully installed it, they’re currently left dealing with whatever problems the update introduced. I know Microsoft is working on the problems — it has said so in the forums — which I’m sure users appreciate. But this speaks volumes about current computing models and doesn’t provide confidence in this product. For starters, the days of looking up archaic error codes and checking firmware version histories in the good old Device Manager isn’t what people want to be doing. They want to be computing, as in using their devices to get things done without the device or the operating system getting in the way. There’s no “Device Manager” to sift through on today’s mobile phones or non-Windows tablets, for example. That doesn’t mean other devices aren’t immune to this type of problem. I fully recognize and appreciate that fact. Today’s mobile devices are built to be more like consumer electronics, however: they generally just work. And when they don’t, it’s typically not on the consumer to dig around driver device files, system logs and such to figure out what’s going on. This situation is a perfect example of why I’ve used a Chromebook(s goog) for the past 1.5 years: it simply works and it works simply. There’s no legacy of Device Manager in the front-facing interface. Software updates are regular but generally without fail. And most importantly: I have little doubt that when I need the device to work, it will. By acting as a solution for both enterprises and consumers, Windows continues to leave itself vulnerable to situations like this: one of complexity that consumers generally don’t need. So, here’s my story. I am an I.T. Professional helping over 20 companies and supporting over 250 employees. I purchased a Surface Pro 2 512GB for myself and hoped to convince everyone that this would be the way to go for all mobile personnel slowly replacing their Apple and Android devices. My Pro worked for 20 days and then failed after the December 10 firmware update and would only boot to the UEFI screen. I contacted support on Dec 12th and was told that I would receive a replacement device with instructions to come via email within three business days. After five days and no email I again contacted support. I was promptly given a fedex shipping label with instructions to send the device to the Texas Service Center which received my device on December 17th. Then, on December 18th, I receive an email from escalations with return instructions for my device. I replied and said that it was already returned and they promptly CLOSED the escalation request! Fast forward to today December 30th. I have no contact from Surface Support and only a Service Notation that my device was received and inspected on December 17th. I AGAIN contacted support and was given a THIRD service request number and another promise to receive an email in THREE business days about what is happening with my device. In COMPLETE FRUSTRATION I called Microsoft Corporate and was told that there was no one I could speak with and that I could email corporate support, BUT, that I would have to wait another THREE business days for a response. I have dealt with many companies, Dell, HP, CDW, etc. I have NEVER received such an astonishing level of blatant disregard for a customer who received a product that failed within 30 days of receiving it! If I ever treated my customers with this level of incompetence, I would be living in a cardboard box! How could I in good conscience recommend this product to ANY of my customers knowing that if it fails, they could expect to wait 20 or 30 days for a resolution… I am utterly disappointed with Microsoft at this point… I am far from an Apple fan, I don’t like working on them OR using them, but at least they answer the phone, talk to their customers and resolve their issues! Who knew that when Microsoft took the START Menu away, it was a sign that they were going to START ignoring their corporate customers every way they know how! It probably was not just caused by the December firmware solely. 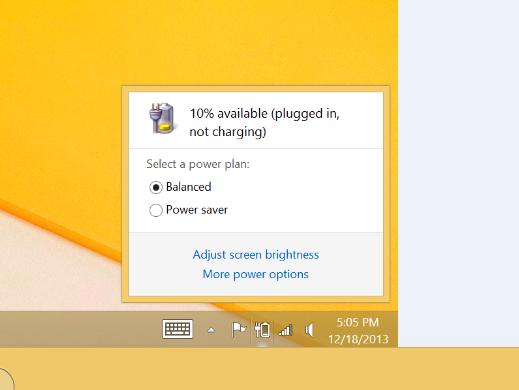 My Surface pro failed on the update too, but I experienced “plugged in, not charging” as well recently. I, in fact, lost my faith on this product. I can only go by my experience. Got my Surface pro 2, was disappointed at first, battery said it would last 3h 57m. After all the updates (firmware) updates, 7h 40m now, much improved. I can’t see any problems as of yet. My surface has pushed my desktop aside. I was amazed I could run “Ultima Online”, gotta have a little fun. I can say that I am pleased. Yep, because Apple & Google have never had to pull updates before right? Using words like “generally” over & over doesn’t excuse you from having to provide actual facts. Look at the simplest OS of them all, iOS 7, has been nothing short of a disaster. I have so many app crashes it reminds me of computing in the 90’s & don’t get me started on the performance issues. Well, I’m sort of at a loss here. The post is about a Windows firmware update for the Surface Pro 2. So it really doesn’t make sense to rehash every possible failed firmware update on other platforms. That’s why I didn’t. But it would be irresponsible of me to ignore similar instances on other platforms. So I did give a nod to them in the post. I was ready to buy a surface pro 2 because having office appeals me but then the price tag for a tablet with a huge mix of reviews made me change my mind and I’m going to buy the iPad air after Christmas. Hopefully this will just be a blip. The firmware installed for me unfortunately and think I have some of the issues. Microsoft will sort them out – there has been far too much unnecessarily negative publicity surrounding the device and critics seem to lap up these stories. Excellent and insightful article with smart commentary. I would only challenge this single statement “This speaks volumes about current computing models.” It actually speaks volumes about the current *Microsoft* model, not those of Google, Apple, or even Linux. The kind of 90s-centric computing style which characterizes this incident could only be displayed by Microsoft. Essentially, Microsoft has arrived in the 2010’s with a believe that what worked for them in 1995 will still fly with consumers. Apple, Google, and Linux all have their own characteristic flaws… but this specific patch issue you described is about as “Microsoft” as it gets. You’re spot on, Joel. I was thinking I was just talking about Microsoft in the statement you pointed out but you’re right, I wasn’t clear. But yes, that’s the type of old mindset and model that doesn’t work as well in today’s world. Thanks! If other companies (Apple, Google) provide regular updates, how is the “model” is failing? At work, I run in almost no problems with my Toshiba laptop provided by work – my iPhone/iPad’s had more lockups/reboots than my laptop had BSODs in the last 3 years. Okay I can’t remember a BSOD on my work laptop. The laptops of my workmates jsut work as well – kinda fade into the background and all your doing is focusing on work. But our work laptops were setup by an IT staff. The OS updates are pushed by an IT staff. I can install software but the framework was laid down and is supported by professionals IT folks. My desktops at home – that I have built – running Win7/8 have been rock solid. But in general I still deal with the nagging complexity Kevin mentions and many times it seems like MS is so focused on the enterprise that it does not make it is hassle-free for the consumer. How many times when you have a problem are you told contact “your network or IT administrator”? WTF? Spot on Joel? Its pretty crazy to believe these types of problems are unique to Microsoft. What’s the motivation to try and sell the notion that only Microsoft inflicts this kind of pain on its users? From the article (which is about Microsoft, not the other device makers): “That doesnâ€™t mean other devices arenâ€™t immune to this type of problem. I fully recognize and appreciate that fact. ” I’m not selling any notions of this happening only to Microsoft devices. You’re using a beta hardware product from 2010, the CR-48, against a brand new Surface Pro 2 as an example? Not quite a good comparison IMO. And I’m not seeing anything in the examples you provided where customers really can’t use their devices effectively. That’s what’s going on here with people who actually did get the update; hence, the title of my post. This is because you haven’t bothered to look. If you did you would’ve found this. I asked what the motivation was but really I do understand the reason. Its all a game. 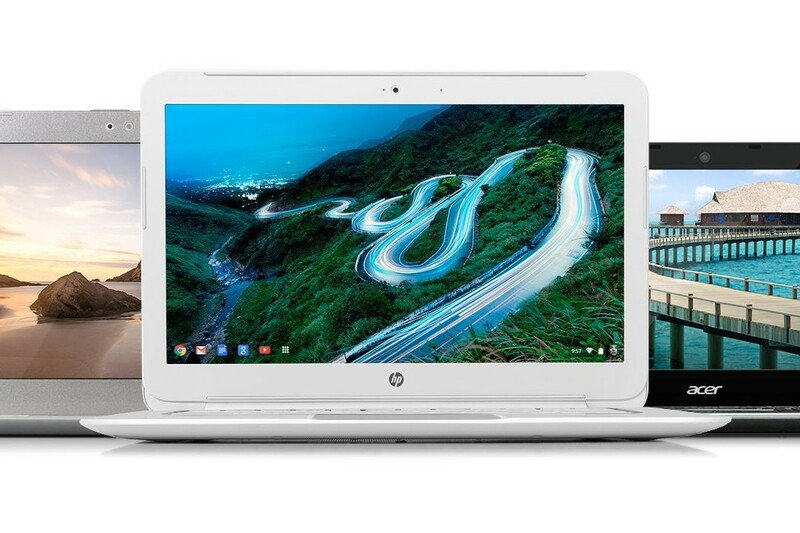 You have an incentive to glorify the merits of Chrome OS while undermining all other competing alternatives because it is your “beat”. Like tech writers who follow Apple, Microsoft etc… Its sad all around. Definitely a much better example, so thanks for that. But there’s still a difference that you’re overlooking. In that case, folks had several options to undo the offending update. That’s the not case here; those affected are stuck until after the holidays because that’s when MSFT said it will have the fix. I do agree that Chrome OS is more of my “beat”. It’s because it’s different, new and — what I believe — is a better representation of computing in the future. But it’s not a game. If it were, would I have spent nearly a thousand dollars of my own money to buy a Surface Pro 2? I’m sorry, but is MS a brand new startup? Do they have 3 guys working on code in a garage? For a multi billion corporation with thousands of developers and QA staff is is inexcusable. I think this is Microsoft still getting their “sea legs” with regards to building and supporting hardware. In this area MS is more like Apple in that unlike other OEMs, Microsoft is updating their own hardware drivers frequently (many PCs only got driver updates only if they were using MS generic ones or the user updated themselves). The firmware updates I have gotten for my Surface RT has really improved the device and made it the device people actually wanted when it went on sell a year ago. oops. That would just frost me if a software update made my computer useless like that. I have a new (new for me) Toshiba laptop with Windows 8 on it. No Start button. What were they thinking? My husband rigged one for me. And yes, I can update now to 8.1, but I haven’t for fear that it will introduce problems on this older Toshiba model. I’ve already had to restore my files after a disaster with an external hard drive that shut down the slower 2.0 usb ports. Makes you wonder what’s going on with these companies these days.